According to an article in The Boston Globe, a captain in the Revere Fire Department got into a scuffle with trick-or-treaters on Halloween night and was arrested as a result. The article indicates that the defendant was out with his wife and their six-year old son in Revere. Around 7:30pm, the family encountered a group of ten to twenty teenagers who reportedly began harassing the six-year-old and allegedly threw items at him. After the initial encounter, the group left but soon returned with more kids. The group then reportedly “taunted” the six-year-old and told the family that they were going to “mess” him up. According to the defendant’s wife, the group then turned on the defendant. There was some sort of physical altercation and the defendant was reportedly knocked to the ground. 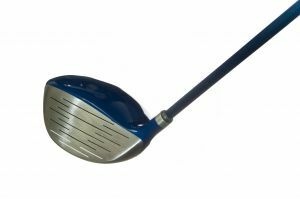 At some point during the scuffle, the defendant swung a golf club that he happened to have with him and struck at least two of the kids, who were injured. The defendant’s wife called the police to report the incident, but it was the defendant who ended up being arrested – specifically, he was charged with three counts of assault and battery with a dangerous weapon and one count of assault and battery on a child. He is scheduled to be arraigned this coming week. For the Commonwealth to prove that the defendant committed the crime of assault and battery with a dangerous weapon under G. L. c. 265, § 15A(b), it would have to prove the following beyond a reasonable doubt: (1) that the defendant touched the person of the alleged victims, however slightly, without having any right or excuse for doing so; (2) that he intended to touch the alleged victims; and (3) that the touching was done by means of a dangerous weapon. For the Commonwealth to prove that the defendant committed the crime of assault and battery on a child under G. L. c. 265, § 15A(c), it would have to prove the following beyond a reasonable doubt: (1) that the defendant touched the person of the alleged victims, without having any right or excuse for doing so; (2) that he intended to touch the alleged victims; and (3) that the alleged victims were children under the age of fourteen. Despite the seriousness of the charges, it seems that the defendant may well have an argument that any touching that he engaged in was in fact justified under the law. Specifically, a person is allowed to act in self-defense. If evidence of self-defense is present, then the Commonwealth must prove beyond a reasonable doubt that the the defendant did not act in self-defense. To do so, the Commonwealth must demonstrate one of the following things beyond a reasonable doubt: (1) that the defendant did not reasonably believe that he was being attacked or immediately about to be attacked and that his safety was in immediate danger; or (2) that he did not do everything reasonable in the circumstances to avoid physical combat before resorting to force; or (3) that he used more force to defend himself than was reasonably necessary in the circumstances. Considering the fact that the group reportedly assaulted the defendant to the point that he was knocked to the ground, he seems to have a strong argument that he reasonably believed that he was being attacked. Likewise, it appears that the teenagers initiated the physical assault, knocked the defendant to the ground, outnumbered the family, and had thrown items at the defendant’s six-year-old. As such, the defendant seems to have a strong argument that it was in fact reasonable to use force and that there was nothing he else he could have done to avoid combat. Finally, the defendant also appears to have some argument that he did not use excessive force in light of the fact that members of the group had been throwing items at him and his family. Further, there is no indication as to the extent of the alleged victims’ injuries – if the defendant merely used the golf club to make sure that the group did not encroach further and some members of the group were injured as a result, that seems to be quite far from the use of excessive force. The fact that the defendant seems to have arguments in his defense, however, does not mean that he is out of the woods – the charges against him are serious, and the alleged victims’ parents will undoubtedly be looking to vilify him and denounce his conduct. Additionally, because he holds a position in the Revere Fire Department, the outcome of the case will likely impact his employment status. Therefore, the potential consequences of the case are even more serious than usual. If you or a loved one is facing a situation where your employment may be significantly impacted by the outcome of your criminal case, you, like the defendant here, will need an experienced attorney who knows how to defend your case and present your side of the story to the court and the jury. Attorney Daniel Cappetta has successfully represented numerous clients and knows how to get the best outcomes possible. Call him today for a free consultation.